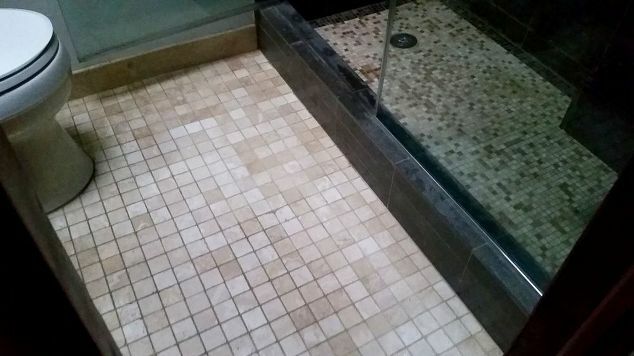 To clean the bathroom tiles and preserve their shine is challenging. Daily exposure of the bathroom tiles to soap suds, mould and mildew, dirt and everything else would eventually make the tiles lose their original lustre, looking dull. It’s a fact that everyone wishes using a clean and sparkly bathroom and giving the tiles a deep treatment once a week would certainly keep the shine for longer. On the contrary, cleaning the tiles would also rid the bathroom of germs and bacteria. 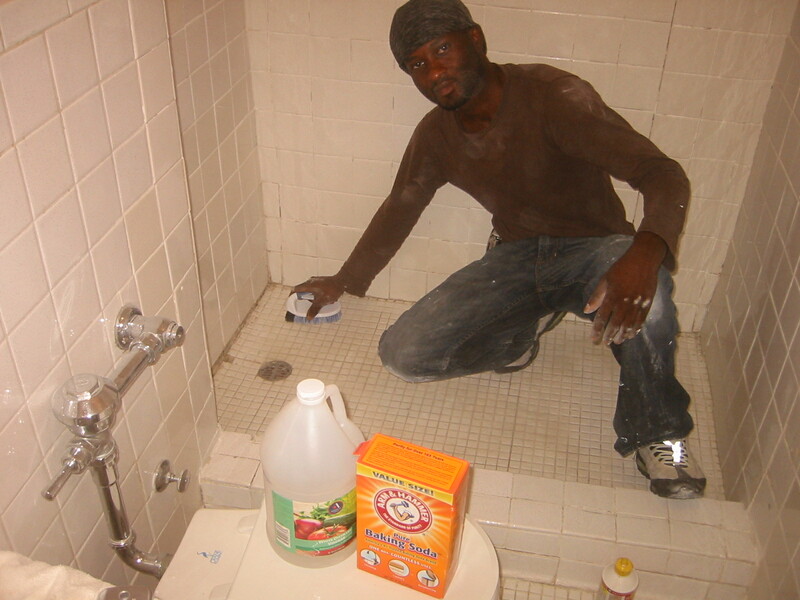 Do-it-yourself cleaning solutions for cleaning bathroom tiles are far better and less harmful than store bought acidic mediums that also reduces longevity of the tiles and tear the grout eventually. In fact, these DIY solutions for bathroom tiles fall in the category of green products having all it takes to rid germs, dirt and hard-water stains. Treating the tiles with these solutions would restore the original shine, making long-term cleaning a lot easier. 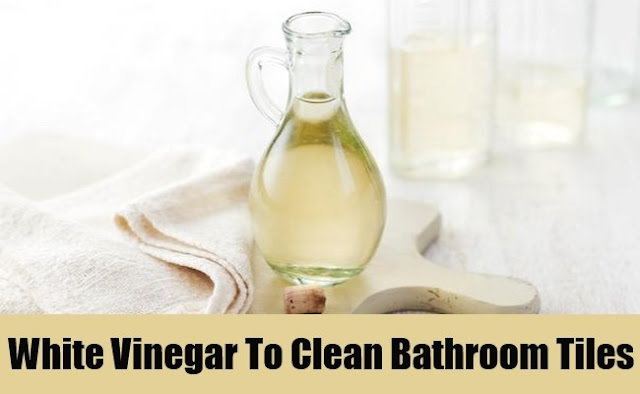 Besides adding taste to the food, white vinegar is an excellent cleaner and very effective against hard water stains and soap scum accumulated on the tiled surface. Hard water contains excess minerals that leave behind white and chalky residue on the tiles and other surfaces if left to dry. To remove such residue, spray white vinegar on the tiles and let it sit for a few minutes. Wipe the vinegar either with a damp piece of cloth or non-scratch cleaning pad. Wash the tiles with lukewarm water and let the doors and windows open to dry them in natural air. Baking soda is known to have alkaline properties and like white vinegar, it’s also an excellent disinfectant. Mix both ingredients together and you’ll have a powerful stain removal solution for bathroom tiles that can bring back the amazing shine and ensure a bacteria-free grout. Mix equal portion of baking soda, white vinegar and salt, apply the solution on the tiles as well as on the grout along with rest of the surface with help of a damp sponge. Let it sit for a few minutes, rub the sponge gently to remove the stains for good and rinse with hot water. Lemon juice quenches thirst during summer as well as clean the bathroom tiles and restore their shine. Unlike vinegar, the solution would leave behind a pleasant smell while remove unseen bacteria from the tiled surface. For stunning shine, soak the tile in lemon juice and leave it for almost 20 minutes. Wash with clean, hot water in the end! 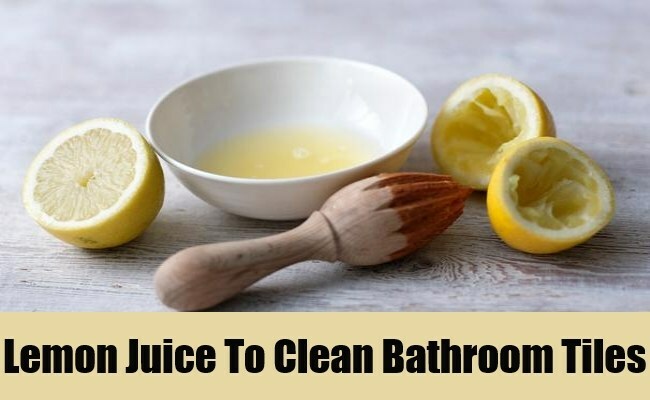 If you’re in a hurry to restore the shine and clean the bathroom tiles, spray furniture polish or lemon oil directly and gently rub with a microfiber cloth. Both the ingredients are known to make the tiles gleam so that’s worth giving a shot! The above do-it-yourself cleaning solutions for cleaning bathroom tiles are far better and environmental friendly having all it takes to tell the difference between a dull and shiny bathroom.